The vision-impaired people manage to cover most of their everyday needs with the help of technological equipment. Some needs, however, still require special attention: For example, commonly used pregnancy tests provide results that may be interpreted only visually. The users of these tests who are vision-impaired are dependent on a help of a sighted person which is a drastic invasion of users’ privacy. 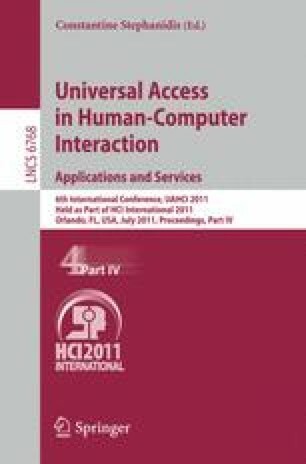 This paper proposes a solution to this problem: A design of a prototype of a system allowing the vision-impaired users to interpret the results of a pregnancy test using a PC with scanner is presented and evaluated.